The news was released today by the Supreme Court. The judges responsible for assessing the petition are the same as those who considered the Christian woman "innocent". Asia is located in Islamabad, in a place of maximum security. 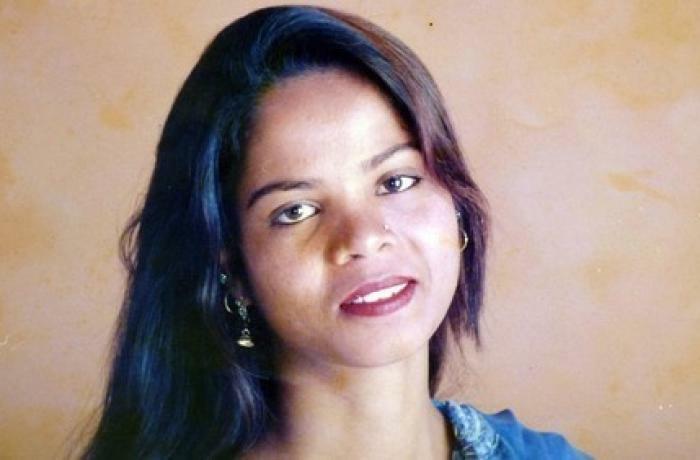 Islamabad (AsiaNews / Agencies) - The Pakistani Supreme Court has set a hearing date for the petition to review the acquittal of Asia Bibi, reports the national newspaper Dawn. The case of the Christian mother, condemned to death for blasphemy in 2009, acquitted at the end of October but without the possibility of leaving Pakistan, occupied the headlines for weeks. So many ordinary people, activists and international political leaders came to her defense. Recently, even 500 Islamic imams have signed a declaration stating that the Asia Bibi case must be resolved with the utmost urgency. The court also announced the composition of the court charged with assessing the petition presented by Qari Muhammad Salaam. President Asif Saeed Khosa will preside over a jury composed of him, Qazi Faez Isa and Mazhar Alam Khan Miankhel. These are the same three judges who have already considered Asia Bibi "not guilty". Asia Bibi was sentenced to death on 7 November 2010 by a Punjab court. She had been arrested for contempt of the Prophet Muhammad in June of the previous year, after an argument with some of her colleagues in which she defended her religion. She was tortured, abused and suffers from senile dementia because of her years on death row in the Multan penitentiary, despite being just 48 years old. In October, the Christian woman was released but cannot leave the country on the basis of an agreement with Islamic radicals. From that moment she lives in Islamabad in a place of maximum security, escorted and protected. Of her family, only her husband could re-embrace her, unlike her four daughters. Anyone in the past who has shown solidarity and closeness to the Pakistani woman has been persecuted by death threats or killed by the radicals. Among the best-known examples of those threatened, Asia Bibi's lawyer who found refuge in the Netherlands; in the second group, that of those who were murdered, the former Muslim governor of the Punjab Salman Taseer and the former Catholic minister for minorities Shahbaz Bhatti.